Servicing Bunbury, Capel, Busselton, Dunsborough, Margaret River, Augusta and Eagle Bay. 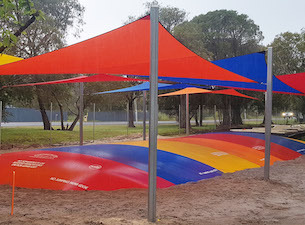 Cape Shades is a family-owned and operated business located in Busselton, Western Australia. We have been building outdoor installations for over 14 years. As a leader in outdoor living and patio installation, we take care to design an outdoor entertainment area to suit your lifestyle. We are an Authorised Stratco Outback and Pavilion dealers, creating stunning commercial and residential outdoor designs that suit your style, taste and budget. 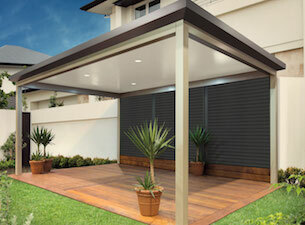 From the Stratco Outback Patios to customised verandahs, carports, pergolas and shade sails. We provide quality and peace of mind in creating your ideal outdoor living space. Second-to-none customer experience is at the forefront of our business, starting with an obligation-free measure and quote. We service Busselton and surrounding areas including Dunsborough, Eagle Bay, Margaret River, Augusta and all locations in between. Ready to get started on your next outdoor entertainment area? Book your free measure and quote to discuss how we can make your outdoor dreams a reality! Need help choosing the best design for your commercial or residential outdoor entertainment area? Our trained outdoor experts can help you pick a design to suit your lifestyle, taste, and budget. 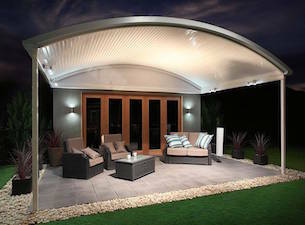 The Stratco Outback Patio is the perfect addition for your alfresco outdoor entertainment area. With stunning designs and practical options. Fully customisable to suit your unique taste, style and budget. 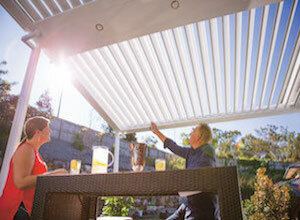 Make a statement in your outdoor living space with our quality shade sails! Made from premium, high grade commercial cloth, these shade sails are designed to last and stand the test of time! Enhance your outdoor living experience with a quality Stratco Pavilion design. The on-trend look adds an element of sophistication to any home and the quality construction ensures a lasting impact..
Make the most of your patio with the innovative Stratco Sunroof. The specially designed louvres are angled for maximum versatility, so that you can enjoy your outdoor living space all year round in comfort. Transform your existing outdoor space into a stunning outdoor entertainment area with an quality constructed patio, pergola, verandah or carport. Servicing Bunbury, Capel, Busselton, Dunsborough, Margaret River, Augusta, Eagle Bay & surrounding areas. Copyright 2017 Cape Shades | 143 Kookaburra Way Vasse WA 6280.